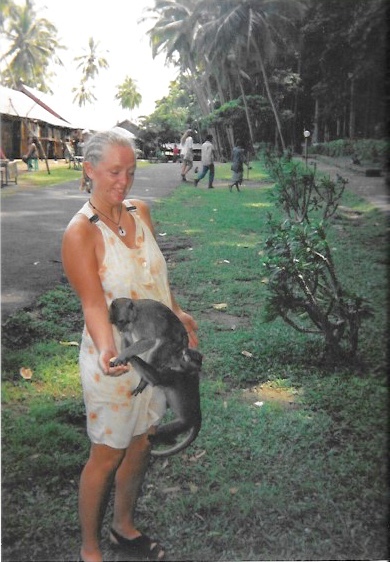 My time in Bali came at the closing months of our world backpacking tour. We had been partying our way around the world, very little sleep, very little healthy eating! 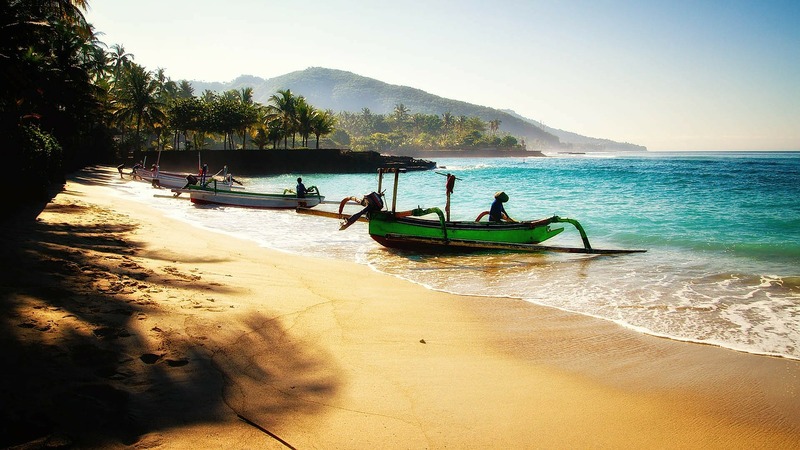 Arriving in Bali, we hitched a ride into Kuta Beach, and set about finding somewhere to stay. By this point, we were very much living by the seat of our pants. Never any plans of where we would stay, just a flight in and hope for the best! I had started to feel unwell in Thailand, where we had just left, and the Bali heat was making me light headed and dizzy. We walked up and down the main road in Kuta, negotiating with accommodation owners, until we found a place within our very, very limited budget. After a few days I was seriously unwell. I was vomiting continuously, feverish, unable to keep anything down and so, so weak. This continued for a couple of days, but we had no money for me to see the doctor. On about day four, the wonderful lady cleaner, who came into the room daily, saw how unwell I was. In her broken English, she insisted that Nik took me to a little hut in the gardens of the accommodation, and leave me there. We had no real choices, we were broke and I was so ill, so that was what he did. This little old, frail lady, this total stranger, looked after me like I was her own child. She spoon fed me a mixture of rice and some kind of berry juice every few hours. She lit incense and smudged the room every morning and night. She wiped me down with cool cloths as my fever raged, singing little songs that I had no idea of the words, but they soothed me. This wonderful Balinese lady nursed me back to health. This stranger, with the darkest but kindest brown eyes I have ever seen, showed me such love and compassion, totally enforcing my belief in generosity of our soul is the way we should live. This wonderful lady, who had nothing to offer but her greatest gift. Her time, her kindness. It was this encounter that made me so passionate about getting out amongst the locals whenever I visit a country. I want to immerse myself in them. It is her I think of when I seek out brands that have a “give back” philosophy that support local communities. (I discovered a great brand that does fab work like this, you can discover them in this post Discovering New Brands) This encounter with this wonderful lady wrote another, incredibly important chapter in the book of Kerry. While we were in Thailand, my Mum and Dad were celebrating their Silver wedding anniversary. Sad to be missing it, I knew I wanted to try to get something special to give to them on my eventual arrival home. We spent some time visiting the communities in the more rural places in Thailand, and were blown away by the things these communities made. The men in the families would carve the most beautiful tables. The ladies would make blankets and sarongs from plaited materials and woven threads. Even the teenage children would be involved with stripping the wood that would then be carved into something beautiful. While in one of these communities, we came across a young man that made items from silver strips. Not just jewellery, but tiny ornaments and curiosities also. I was amazed by the craftsmanship and dedication that went into these items, and returned to see him a few times. During one of our discussions he agreed to make me a Tuk Tuk from the silver, as a gift for my parents anniversary. 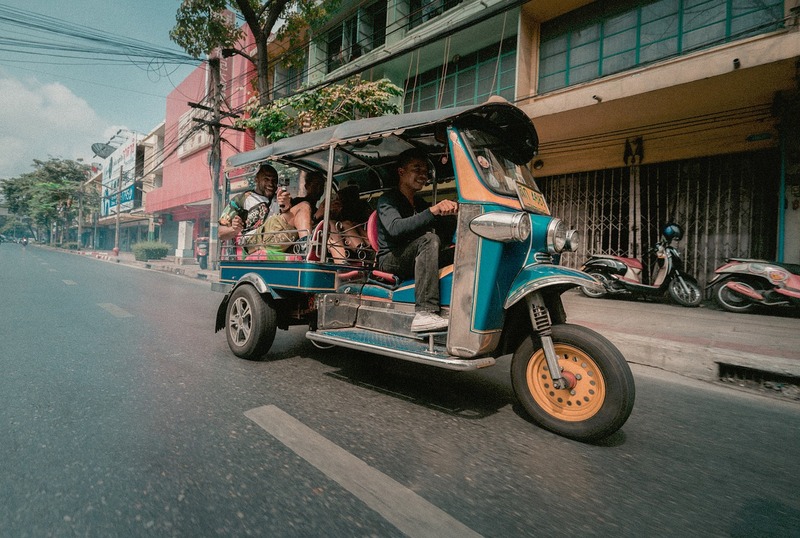 In case you are unaware, the Tuk Tuk is Thailand’s most used form of transport. Its like a little carriage, kind of pulled along by a man on a motorised bike. We agreed a price, and over a four week period my Tuk Tuk was made. It was beautiful. He even put it into a little velvet lined box so that I could get it home safely. During my many visits there, I learnt that by buying this item from him, he would be able to feed his little family for around 3 weeks. Imagine that! In countries that have such poverty, we have the means to be able to help these families support themselves for weeks. My parents were thrilled with their handmade gift, and I was made very aware of how supporting these communities when we travel, has such huge impact. I always buy from small villages and sellers when I go away, even now. I was pushed way out of my comfort zone in New Zealand. way, way out! I have an almost crippling fear of heights. I hate being in a plane, at the top of a building, up a mountain, and even a multi story car park makes me break out in a cold sweat. I would have to be verging on drunk to get on a plane. I have a physical reaction to being up high. My breath gets shallow, my head feels dizzy like I am going to faint and my knees give way. They literally buckle from underneath me. I also feel like I am falling forward when I am up high. Like I need to fall over the edge. Its weird. 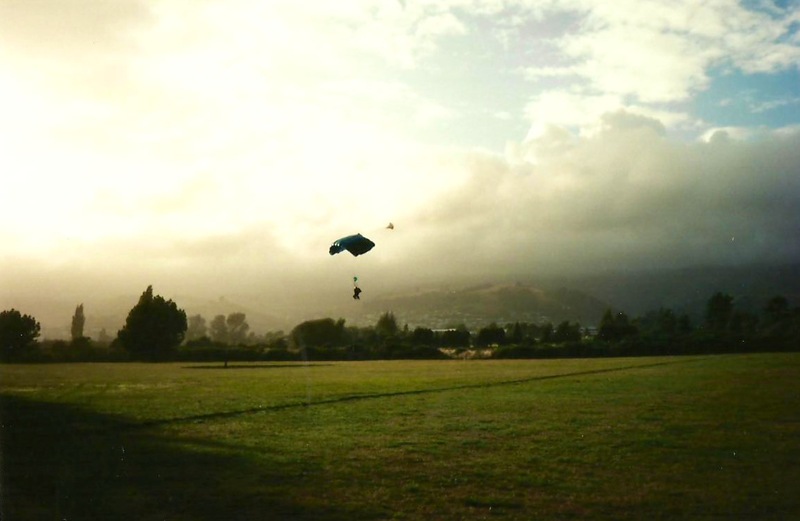 When we were in New Zealand, it was decided that we would all do a parachute jump. Nik and I, and our three friends that were on our travels with us. I said no. They badgered me util I said yes. If I tell you that I did not sleep for the week between when we booked it and when we went, I would not be exaggerating. Even on the morning of doing it, I wasn’t sure if i was going to be able to. I was physically sick. I was swinging between crying with fear, and laughing manically. I was a mess. The boys all gave me a million pep talks. They told me to just think how much I was over coming by doing it, how proud I would be of myself. They also told me to remember that I had vowed to try everything once. So I got on that teeny weeny plane. I went up to 12,000 feet and i jumped out of the blooming thing. The first part of a parachute jump is fast. You are free falling and its exhilarating. When you pull the cord to open your parachute, you are instantly yanked to a halt. It feels like everything stops. It becomes silent. Then you start to slowly, soundlessly float down to earth. You have time to look around. It is beautiful. We occupy a beautiful, magnificent planet. We are so very lucky. I sang Somewhere Over The Rainbow all the way down from the sky to the ground. No idea why, maybe nerves, but it seemed fitting. I literally felt like I was somewhere over the rainbow. I had a real moment up there in that sky, looking at everything stretching out for miles around. Like I was part of something so much bigger than me. In awe. Reflecting on it later that night, I felt so incredibly lucky that I had that moment up there in the sky. I was so grateful that I had found my courage. I honestly felt like I was capable of anything. I faced my fear, probably my biggest fear at the time, and did it anyway! This is something that I remind myself of when I have those moments of panic. When I think I cant do something or am too scared to try. I honestly, still to this day, sing Somewhere Over The Rainbow to myself, pull up my big girl pants and face the fear. These are just three things that happened while travelling that helped to shape the person I am today. There was so many more, but we would be here all day if I went through them all. Whenever I travel I always take in as much as I can. I want to feel the experiences. I want to be enriched by my time away. I am open to learning and growing as much as I can, and I feel that travel is the key to growth. We can learn so much about ourselves from other people, new experiences, new challenges cant we. I think that it teaches us to be more appreciative, more open to people that lead different lives to us. I think the saying Everyday is A School Day is so true! I am one of these people that will talk to anyone, and absolutely love conversation, so I feel I learnt a lot from the people Iv met whilst on my travels. How about you? Do you find that travel enriches you? Have you had any amazing experiences that changed you whilst visiting somewhere new? Have you ever learnt something that has stayed with you forever while on your travels? Id love to hear about your experiences, you know I love a chat! "Road Trip With a Difference – The Scottish Highlands"
"Bloggers – Have You Fallen into The Vanity Metrics Trap?" Oh that little old lady…. Nursing you back to health. 😍 I think we all need a little old lady like that in our lives. 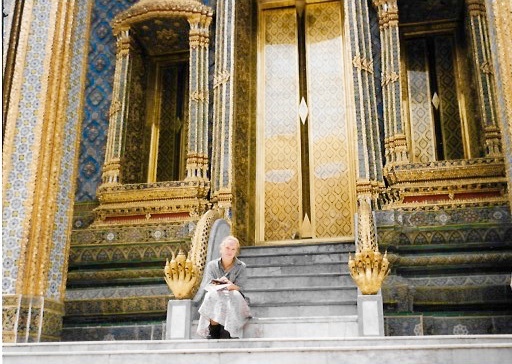 But apart from her unconditional generosity I have to agree with you about travel and nurturing the mind. This is why I want the kids to see as much as they can when we travel and meet as many of the locals as possible. It’s so important that the next generation are aware that people much less fortunate than themselves exist outside of their little bubble. Great post. Travel has been a godsend for us both. It’s where we are both at our happiest, we have been able to conquer fears (including fear of flying), we walk our butts off every day and somehow manage not to fight *most of the time. Always like reading your posts. Keep it up. I’m so glad that you’re a fellow travel-loving soul… keep collecting those moments and experiences of a lifetime, and enjoy to the max! You are so, so right!! How lovely for that lady to take care of you. My god, jumping out of a plane! You were very brave. I could not do it. Honestly, that lovely lady taught me so much about kindness and how I want to live my life. It was a great lesson to learn with such impact at a young age. I will always be grateful to her. I am not sure I would be quite so brave these days Liz…..